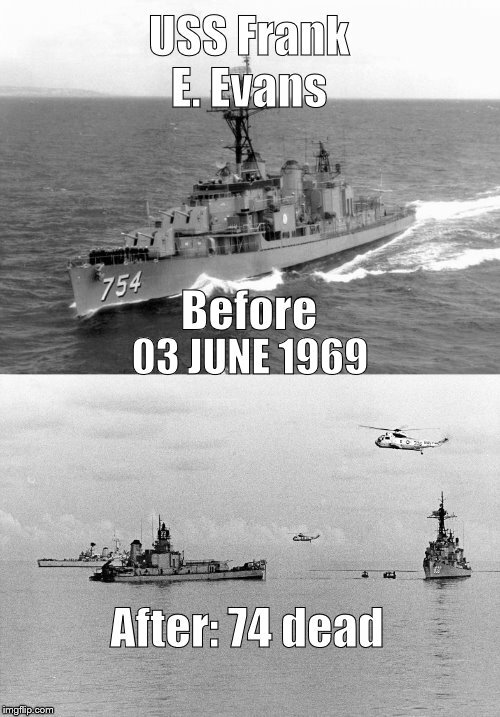 A collision with HMAS Melbourne, 03JUN69, killed 74 American sailors, including three Sage brothers. They're all still dead. The front (bow) section, approximately 94 feet long, sank immediately carrying all but one of the dead to the bottom of the Pacific where they shall remain until the Sea gives up its Dead. Alas.